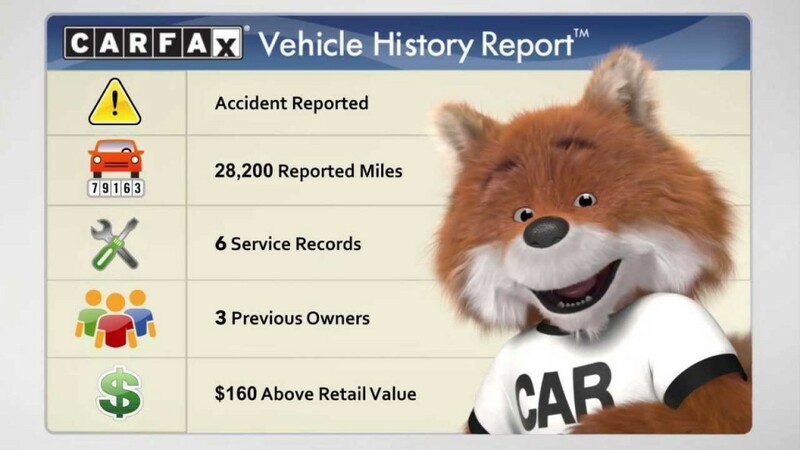 A CarFax report can be a car buyer’s saving grace when buying a used car, as the company has the ability to track cars via their unique identification number (known as VIN). And while these reports are not perfect, they can give buyers a more clear and accurate picture of a car’s history than one could get from one owner or a dealership. To help you utilize CarFax reports properly, however, you need to know exactly what to look for in order to make the best decision on your next used car purchase. The first thing that will stand out on a CarFax report is whether a vehicle received or did not receive regular maintenance. It’s possible that the owner or shop that completed the maintenance did not report an oil change, tire rotation, or part replacement, but if a car is show to have received a regular oil change in Albany NY, it’s more than likely to be in better running condition than a similar vehicle with a spotty history on its CarFax report. When buying an older vehicle, be sure to look for maintenance and repairs beyond just the basics. Things like brake replacement, timing belt replacements, wheel bearing replacements, and other major repairs should be noted in order to give you an idea of when the repair should have happened versus when it actually happened. That sort of information can provide you with a more complete picture of how the previous owners cared for their vehicle. Plenty of vehicles are in minor accidents each and every day that end up having little to no affect on how they perform in the long run. Unfortunately, most CarFax reports don’t come with a full explanation on the condition of the vehicle after the accident, or even details about the accident itself. The report simply lets the inquirer know that there was an accident reported on a certain date. If you really want to know if there was any real harm done, you’ll need to ask the dealership if they can identify any reconditioning done to the vehicle that may help you get to the bottom of the report’s findings. On top of this, be wary of vehicles with flood damage. CarFax itself warns people that floods can cause extreme damage to a car’s electrical and computer systems, which affect everything from headlights and windshield wipers to airbags and ant-lock brake systems. Because flood damaged cars can be such a problem for secondhand buyers, CarFax offers a free tool that helps buyers identify whether a car they’re interested in has been involved in a flood. While not a sign of a bad car, multiple owners do stand out on a used car report, especially if the car is newer or has low miles. If it’s an economy car with too many owners in a short amount of time, that should be at least a slight red flag of problems to be had in the near future. But if it’s a sports car or any performance-tuned car, it could be buyers hastily buying too much car and selling it off. What you should look for in addition to this, are accidents and irregularities in maintenance reporting. Speaking of irregularities, you should always be on the look for large gaps in the reporting of data about the vehicle. If there’s too much time in between notes about oil changes and other regular maintenance, such as new tires, you could be dealing with neglectful owners. The absolute worst thing you should look out for, however, is irregularities in the mileage counter from one report item to another. This means that if in January of a particular year you noticed the mileage was reported at 75,000, but that then was reduced to 72,000 in a another item reported later in March, someone could be rolling back the mileage on the vehicle to try to increase the value overtime or scam a potential buyer. These types of scams are rarely committed by dealerships, and tend to happen with private sellers, but you should only consider buying a vehicle if the mileage is reported consistently throughout the CarFax report. Again, not a death sentence when looking for a good used car, but definitely a sign to take caution. Rental cars are usually sold off after a certain mileage mark by companies looking to keep newer vehicles with low mileage in their fleet. Vehicles that were formerly used as rentals usually have way more than the average yearly mileage of 15,000, as they were used for trips all year round and tend to be driven more roughly than your typical personal car would be on a daily basis. On the positive side, rental cars typically receive timely maintenance and repairs–something many cars do not receive. In conclusion, CarFax reports are not perfect, and yet they also should not be taken lightly. They are typically either trusted too much by some consumers or too little by others. You should treat a CarFax like a preview into its past and nothing more. Use it to identify red flags and compare similar vehicles, but nothing more. By following the advice on this page, you should be able to find yourself a reliable used car that will serve you well for years to come. And the great thing is, if you find any information on the CarFax report to be incorrect in the near future, the company has a buy-back guarantee program to help you out of that jam.